Smart lock is a crap app. Slm files are encrypted. I have not worked recently on this to find a solution. For now I have no clue. Can anyone please share PIXRECOVERY SOFTWARE.?! Have u tried stellar Phoenix software? Yes but of no use 😦 I have changed the slm to jpg and recovered using Stellar no the recovered files doesn’t display any images but the jpg files. Hey bro, I accidentally deleted smart lock file from my phone memory, when I opened smart lock app it’s showing as NO THUMBNAIL😔is there any possible way to retrieve all my photos back. My smart lock .slm and .slt file deleted, but in smart lock app locked file shown as no thumbnails..
How can i solve this problem…??? I have already updated my post with latest software that works best. Better than PixRecovery. Please go through post to find it. What files u back up? And how u dos that; from application or 3rd party backup like titanium app . Please detail what You did and so I can try to help get this fixed. I used the Pixrecovery software to recover my files. I get it done, but I have a query is that at a time i can recover oly one file.. Since I have 200 plus images. Can you please guide me how to recover bulk images. Also i need to recovery few Videos??? how to do it??? With Pixrecovery you can only recover 1 image at a time. You can use JPEG recovery software to recover multiple images. Ensure you rename all the slm file extensions with JPEG. & with Videos, you can rename them with .mp4 and verify if works. Any queries, reply. Hello..can we recover deleted file of .safegallery lock of memory card which contains all the slm and slt files?? You may have to use r-studio kind of recovery applications to recover lost files. Probably your image corrupted lot than recoverable. Please try below software and let me know how it goes. 1 – If “there is no Locked media files to register..” means, the scan is unable to find any files in phone to recover. 2 – If pix recovery is unable to recover, then it can be problem with Pixrecovery version. I am trying to find a better way to do than Pix recovery. I will update my thread as soon as I have progress on this. I have a gallery lock pro in S2, i had hidden some images over there, but my SD card got corrupted, I m not understanding how should i recover the files now. when i open gallery lock i can the files but its say files didnt find and cant be opened .kindly adivse how shall i get them back. Hi… Hav u tried to rename the files? How much size the slm file is? would really appreciate it if you could reply to me!! I backed it up with samsung software. is there any possibility to get them back? have you tried to scan for lost files in application? Hi how can I do it on my phone, I clicked recover photos on the app and ican’t find the photos. Really need your help. Please. have u gone through all said folders ? If u cant see the folder, then u probably don’t have permissions to access folders. Rooting allows to access these folders. Slt is thumbnail… No use. my sd card is damged. i can not see the pictures and videos in my gallery.i am unable to transfer pictures and videos from gallery lock app to normal gallery.pl help. thank you so much……. it really worked.. Thank you Anji 4 ur visit n comment. Slm are the ones important here. Pixrecovery n folder creation failing? Any chance for a (working) link/torrent to pixrevocery 3.0 ? Got the demo and it worked with my SLM-files but there’s of cource an annoying logo on it. The problem i got is i only kept/have the SLM-files. So recovering them with ‘smart lock free’-app (the app i use to lock my files) on my phone is impossible…I think. Is there an app or other sofware that I can install that simply can manage to recover the SLM-files (to jpg) without needing other files (slt,glk) to recover my photos ? SLT files are thumbnails… Have u tried putting the SLM files in a folder and copying this into phone and scanning for files in application? Or SLM files recovery via pixrecovery? Take a backup of all photos into a folder and then put this in phone memory and then try scan for photos recovery in gallery lock… This shld bring photos back into app. i have a problems with my gallery lock files. i cant recover it. how am i goin to convert my glh and glk files to its original forms. please reply. badly needed. below is one of the examples of what i see on mydirectory. I think 3-4 KB sizes are thumbnail sizes and this cannot be recovered unless full size files are identified. uhm could i still recover those missing files? and how could i identify them.. ty.. If we cannot trace the original files, theres less to no chance we could recover. Is your phone memory accessible? Have u tried to do that copy and pasting the contents to the application folder? If possible can you post the original file and post recovered files, so that i will try to identify the issue cause. I don’t see any files attached… Anyways have you tried these steps? Right now I dnt have a smart phone to install the Safe gallery app and retrieve my pics. For time being I am jus trying to retrieve the pics in my laptop using Pixrecovery. I am not able to post the recovered pics in this blog! The recovered pics are not the original images. Hello dear have you tried renaming to MP4? Can I confirm that the software can recover video files as well? 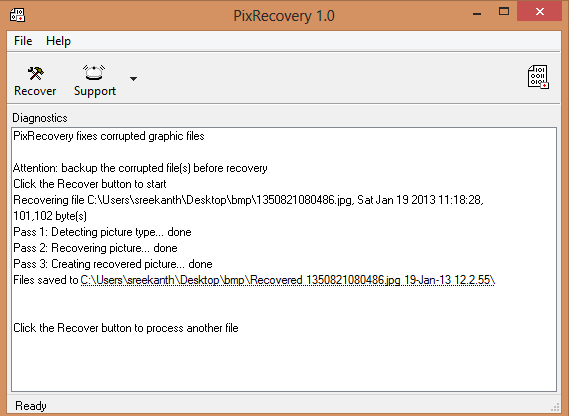 “PixRecovery repairs corrupted JPEG, GIF, TIFF, BMP, PNG or RAW images (.jpg, .jpeg, .gif, .tiff, .bmp, .png). No it won’t. However what extension u see for video? Glh? Can’t the rename works ? What size the crypted file is? If rename didn’t worked, it won’t work. And if the files got good size, like in original MB then please try putting this back into the folder as specified in the application and rescan for lost files. The last option I can think of. If possible can you post that pic here of any that doesn’t matter sharing. can u help me with it? file locker. it stores my image file as jpg.lck file format now the app crashed and i m not able to open these files. please Help! I locked some files on (Smart lock) app and i moved them from internal storage to sd card, and now in the app those files that i locked are not showing anymore and i can’t find them it says “no thumbnail” how can i get them back? Apologies that smart lock hack not find yet. Not getting enough time to work on… Much apologies. forgot to mention that all the gallary locked photos were stored in the phone memory but no thumbnails or gallery lock folders were shown in the phone folder and I couldn’t recover it.The hidden photos in sd card got recovered. But the phone memory hidden photos could not be recovered. I did not back up my phone memory and sd card memory not through kies or through Cwm recovery.i just copied and pasted through control A buttons in the laptop.and i factory reset the mobile . Before back up i did not unhide the photos in the gallery lock or neither i unhide the gallary locked files in the phone folder. Now i am unable to re cover or retrive the photos. i have Samsung note 2 mobile and i had hidden my precious photos (around 400) in it. I had factory reset my phone and had backed up my all my files but forgot to unhide the photos in gallary lock and to back them up. Is there any possible way to recover them. I am totally shattered ….Please help me out as I tried every software for photo and files recovery in the Web. So, is that You backed up all data before factory reset? Via cwm recovery or other ways? If so what process u followed to backup? Can u able to see the folder I specified here…? chaladi please help me bro…………i have samsung galaxy s4 with latest android kitkat 4.4.2 and i have recently downloaded gallery lock free by ukkzang and locked my gallery after that i tried to unlock them but i now i am unable to unlock the recovered pics and videos in safe photos and safe videos folder showing in gallery lock free……..whenever i select them and try to unlock them it shows processing and then says error and unable to unlock them so i am highly inconvenient please help me out as soon as possible…….i will be very thankful to you please help me to unlock my pics and videos and you can also call me on +91-7877615650…i will be very grateful to you. Hi Bro… Forget about unlocking… Have u tried accessing the gallery lock folder as I mentioned in the above post? Can u able to see the folder in Ur phone either via PC or within phone using file explorer? Let me know this info at earliest to proceed further. yes i can see .gallery_lock folder in “my files” in my phone and also i can see all the files in .slm and .slt format but unable to see this folder when i connect my laptop with my phone………so please tell me bro what to do next…how can i unlock those files…….and bro if u can give me ur no. i can call you and explain u everything much clearly…..so please help me what to do next………?? 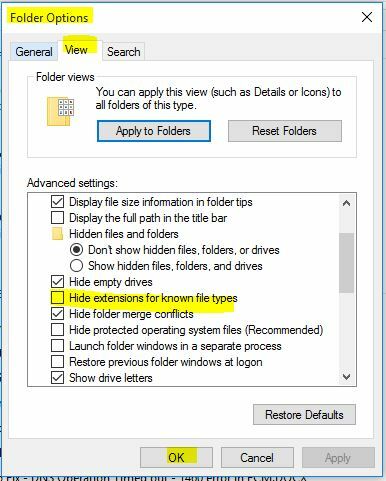 You.cannot see folder from pc cos hidden and system files are they… Just enable hidden files option in your pc and try. And copy slm files to pc for safety purposes. As said in above please try either pixrecovery tool or copy slm files to a folder in data and try recover files option. Please let me know if you have any problems.. I think I’ve already replied to this query… Anyways I ask you to copy the files from phone inself and paste in an folder that will be visible now in pc. I think you Now understood what I’m trying to tell… Copy and access now these files from PC and then follow my procedure I am asking you to do. I have unfortunatly formated my sd card which all of my SLM and SLT data are deleted or can say formatted. That was extremly important pics for me. Please can u tell me is there any oftware that can recover deleted or formatted SLM+SLT files from memory card? Hi. Try r-studio recovery software and let me know if any further help is needed. SLM file rename dont work. 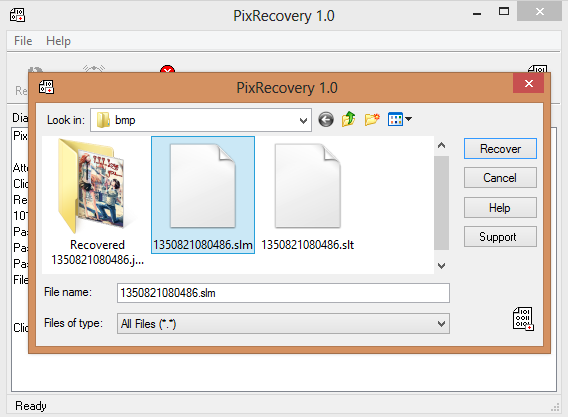 As said use Pixrecovery tool or Copy the same folder into SDCARD and try rescanning. i am already use Pixrecovery tool, in this tool when i browse the file SLM not show in given folder. Yes, but I said in my instructions that you have to change slm to Jpeg extension. Please go through my above post thoroughly again and try. when i recover the files they shows that no missing file. hi….i want to recover the lost photo. i was downloaded the gallary lock in my previous samsung mb and in that i have save my imp photos. but due to some mistake i was deleted the gallary lock app. after that i again download the gallary lock , but the pictures are not open and they are not seen in gallary lock folder. but when i am connecting the mb to pc then it seen in slt and slm format which cant open by pc. so i was copy the all files to my pc folder. so how can i recover that files. i also changed my mobile device (micromax ) .in that i was download the gallary lock and as u say i copy that all files in gallary folder ,but till i cant get it back. also galllry lock only show option of back up files not recover data…plzz plz plz guide me. Copy the same SLM and SLT files into the new phone, which U did already. Now please go to settings of ur gallery lock and there u can see the Search and Recover option. Please kindly check this option and do it and lemme know. What Android version Ur using? What is the problem Ur facing wen converting the slm files with software I provided? Hi… Are u sure that the files are stored on sdcard for smart lock application? If so, then we have to get the files from pc recovery tools only. My experience with this application is bad. But e can recover data from corrupted sd card using pc tools… R-studio will help.. Please check that. the glary lock dose not recover my picture with this method.plz help me.. Sorry abt that… did u tried all the methods said? if so, sorry abt that. I am kind of busy now, once I see time to work on, i will surely reply you. but honestly, it will be bit late than u think. Recently I was told about this issue by number of users and I am tricked with the Size changes. I am trying to take a closer look into this issue now, as the issue has become prevalent. Can you tell me exact lite version you were using now, and if possible the Full version you installed from sources. And at the same time, now try locking some files with gallery lock and see the Folder GalleryLock, location as said in the posts and let me know the sizes it’s storing there in locked modes and compare it with the Original Image sizes. Now i am using Gallery Lock v3.1.4, before that I had a newer version (cant remember). The size of the Picture in the Folder GalleryLock is the same like Original Image size. Then that means you should give a try with my alternative solution PIXRECOVERY software. Hi it doesn’t matter if u hav slm or jpeg. You ultimately hav to rename a slm file to jpeg file only. And 190×190, if size isof same, and output is same, then that must be it! And if size (kb) is same too, I can See no alternatives. I have only jpg files, no slm. I dont have to rename it. Then, when I use Pixrecovery the Picture stays the same (size kb and size pixels). My problem is that the pictures were much bigger and the size was about 2-3MB. After the recovery with gallery lock, all the files have been reduced in size (pixels and KB). It seems like there is no solution to undo. So that’s what I am talking about… So u do one thing… Use file renaming software and try… That does trick for u hopefully. I believe you are having problems with the renaming. Else the SLM should not showup again. Or else maybe files are incomplete. Can u post a screenshot of the File with naming properties if possible. I will see, if i can help you. Where are you doing that renaming? No, I am asking doing it in the phone or pc? i want convert slt files to jpeg in my pc…….how to do?????? Hi, have u tried all the said procedures in the post? Hi Praveen… Last time you told me that you wanted to root your phone, but not unbrick? The post, you sent me through ed referring unbrick procedures, but not rooting. Hi Chaladi… After SW update. My Rooted phone is back to unrooted.. ha ha ha ha ha .. the fear which had has come true…lol….. I had used Exynos Abuse to root…Its a 1 Click root… Can this App again help me to root ..
Alright, lets see a good kernel and Rom source for ur build. 1 click root works major times… Try it. And remember to update superuser app after using 1 click. What size does the pixrecovery able to deliver after recovery? If every file fails with that, try copying again all the files to phone sd card in gallerylock folder and with the glk extension left intact, and then from gallerylock lock app rescan again… And see if that helps. What u updated dear! Software? Kernel? Hi Chaladi, sorry for my series of problems.. I find you very Interactive,, thats the reason i find myself & many users coming for help.. So, u lost ur gmail contacts? And not able to sync to ur new phone? Had the contacts on Phone Note2? And wanted them on this new phone? Chaladi , i have rooted my phone, so any swupdate can cause problems ?? will my phone still be rooted. So, does that means, Since SW update, this weird situation happening? Yes! Your phone remains rooted unless you willingly unrooted it via ODIN or some ways that invokes Super user Permissions again. So, firmware update and/or kernel tweaking or update is only option. Press and hold the Power key, tap Power off, and then tap OK to turn your Samsung Galaxy Note II off. Press and hold the Power key FOR 30 SEC and then turn your Samsung Galaxy Note II back on. Hi Praveen… Removing sdccard is not an option. If switching off and rebooting doesn’t solve ur problem, then firmware update must do, else kernel twrakings has to be done. In the meanwhile use third-party software’s in app store that can turn Bluetooth on and off. And also try from all applications clearing data for Bluetooth and resetting the same. Let me know if these minimum things helps. removing sd card , pressing the start button will do ? What kind of troubles u were facing? Can’t turn it on from the switch button, or switched on but not discover-able? please be precise. So, that’s problem with the kernel drivers… U hav to play around with kernel tweaking. Hi Chaladi… I renamed Slm files to Jpeg . I can see all those jpeg images in a thumbnail size. then i used the said Pixrecovery . but after recovery process, it shows the same thumbnail size…..
Hi Praveen… As said in the post, there will be two Copies: 1 thumbnail photo and 2 original photo that is big in size… U have to copy the big in sized photo and not the smallest thumbnail photo. Hi, I would recommend you try the Copying SLM files to gallery lock app folder, and rescan for lost files. 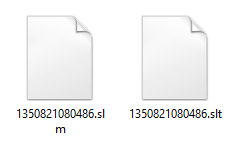 Basically we need only SLM files, cos SLT stands for Thumbnail obviously. So, please be advised on this. Hi But in My case i dont get the video back it just got played for 4 sec please guide on this. If that too fails… Let me know. But generally video files are untouched with just renaming applied for hiding from gallery. It really great to recover slm files which i was trying to recover since last 4 months. Tried lot everywhere but your blogs gives me final solusion. Currently tried with DEMO version & satisfy atleast that files can recover. Now, i should get full version of software without buying & without using torrent link. Great to hear that from you Satish. If you wanted to download Full version from Internet, I believe Google may help you. I am sorry, I cannot provide you the Link of it, because it is not a good practive for my blog maintenance and more over I oversee it as a sign of Piracy supporting Act. Please, search yourself the software and be happy with the results. Got my file fully recovered with out buying any softwares. I hope this works for you also.. I just need to reinstall safe locker software on android phone and then copy this slm and slt files from SD card gallery lock folders to phone memory gallery lock folder and then try to recovering locked media from settings….& to my wonders it actually unblocked files which I thought lost. how to recover .3gp.slm video files? Tried link from Kat.ph but it is showing not working on automated process. checked with demo version and got the result but images are blocked by DEMO msg & require to buy full version from site. However the your blog contain detail explanation for opening SLM file extension. am also facing this problem that by using demo version there is some sign on pics………..so plzzz suggest me some site or some torrent. I’m sorry… So, does that question asks for a full version software? Haven’t tried myself, but seems promising. Give it a try. If u got the files handy, just follow my above post instructions carefully, on how to edit extensions and how to rename. Please be advised that, you can get full version if your search is good enough with Google. i have downloaded the full version but it is only for the recovery of pictures r some other purpose…….it is as the software in the above first picture……..the software above in the 2nd picture is effective but it is demo version so they ask to buy it…..plzzzz tel me some easier way to convert SLM to JPEG. i dnt understand how to change extenstions……………..u tel me some file convertor so it makes my work easier. i was saving my file in smart lock but it showed failure to do so now i cant find my file in the gallery or in the smart lock app. Hi… I believe your files Are moved to smart lock app folder but failed to present them in application .. So better try looking for the files in smart lock app folder as said in the smart lock post in my blog. i checked there the file is not there. and i wanted to know if one can recover slt and slm files withought the use of a pc. Let’s see if one can help this case! Yes! Finally something about internet marketing blogs. what is the location of files of .slv? article. I will be sure to bookmark it and come back to learn more of your helpful information. facing problem while pass 3. it says “no data to recover detected” what should i do now?? Is this happening with every SLM file in your case, or just with few files. how much file size does the SLM file’s weighing? look around for them carefully, if this problem is persisting you, revert back to me with the asked question answers. size of file is about 2392KB. and happening with every SLM file! is there any solution? Thank u. Will see if I can help you with your request. Same thing is happening for me also i.e. Hi did you tried other methods? The reasons can be like: the jpeg file is not valid. Please try the alternative method I posted. I tried both the functions but neither of them is working for me…1st function says no files to recover and the 2nd function- pix recovery is not able to read or pick the slt files. Please help..I have some very important pics to recover. Thanks a ton…i had tried everything and anything until i read your blog….thanks again..i recovered the files I lost. Thank you mate… 🙂 thanks for visit and comment. Hello, there’s an easier option as I updated the post. You copy these glk files back to the folder and scan for lost fines again. I have a android 4.4.2. My phone crashed and I had to hard reset my phone. Luckily, I have a SD card and was able to find the gallery lock folder under /Data — thanks to your post. I see thumbnails of the locked files with .glk extension but I don’t see any original (non-thumbnail files) files in the /Data folder. Could the locked files (original files) be hidden within /Data or perhaps somewhere else? Please help! If you have updated your gallery lock application since first installation, the directory is changed. Chances are you are seeing those old directory thumb nails… If the size of those files is less; say in less kb, then those are thumbnails. The original files might have moved to the new hidden directory as per latest version of application puts. That directory to given in my above post, press refer if you can access the phone memory directories. Have you tried the Scan for lost files in Gallery Lock application? How sure are you that Gallery Lock Images are stored on your SD card? Please try R-Studio Application to check if it can ready any contents from your SD card. another simple way to recover files. thankssssssss ………..it helps alot.likeeeeeeeee ittttttt. My cell gives a problem… The locked files in my media card Dont gt detected on my HTC desire 816… And wen I copy all the pics to my fine memory and recover, the photos get duplicated 2-3 times…. So what I wanted to recover the pics in the desktop but sadly pix recovery gives recovery of one pic at a time… U know of any other software which wud help me recover all the files at once on my desktop? That means, your file is in corrupted stage or can be the software not picking up the pieces from Jpeg file. And further to thatt, hav u tried copying the contents to Media folder in Gallerylock application folder, which is specified in the above post.